No BS. No crap. NO SPAM. Only the good stuff you want. This includes not only the process of tattooing, but also about what it takes to become a tattoo artist the right and safe way. Before anyone can become a tattoo artist, a good understanding and background knowledge of the process, the equipment and safety procedure is vital. On this website, we will cover various aspects on the subject of tattooing from techniques, to equipment, to tattoo flash, even aspects such as getting your license and paying taxes as an artist, it's all here. At Bulldog Tattoo Supply we strive to bring you the best products, while staying within your budget. The hottest new trend in the world of tattoos is the jagua tattoo. In fact, this tattoo is so hot with so many people that you may be afraid to admit you don’t know much about it. Don’t worry, though: we’re here to keep your street credit alive by telling you everything you need to know about the jagua tattoo! What Is a Jagua Tattoo? First off, a jagua tattoo isn’t like a traditional tattoo. Instead of using standard ink, these tattoos are made from a special fruit extract known as “jagua.” And in many ways, this isn’t a new idea. In fact, many cultures have used jagua to decorate their bodies for several centuries. It’s only recently become a big deal in North America and Europe, though, creating a trend that’s now sweeping the rest of the world. Another thing you should know about jagua: it’s different from henna tattoos. How Is It Different From a Henna Tattoo? The idea of temporary tattoos isn’t new, either. In fact, many people have enjoyed rocking some cool henna tattoos over the years. That brings us to an important question: just how is jagua different from henna? It turns out these tats are different in several ways. On a basic level, jagua comes from a fruit whereas henna comes from a plant. Accordingly, they come from different climates: henna comes from a desert plant while jagua is more of a tropical thing (hence the areas where it was originally popular such as South America). On a functional level, jagua can be a bit more convenient. After about two hours, it will stay on your skin for a good, long time. Although the jagua gel itself can take longer to dry than henna does. Is the Jagua Tattoo Safe? One of the jagua selling points is that it is all-natural. In fact, in the cultures where it originated, it has even been used for many medicinal purposes. Basically, the only way that jagua can be harmful is if you are already allergic to the fruit that it comes from. However, this is not a common allergy at all. Like henna, jagua tattoos are often referred to as “temporary” tattoos. Before you shell out cash for a cool gel tattoo, though, you may be wondering just how temporary these tattoos really are. On average, these tattoos typically last between ten days and two weeks. However, some people can make them last as much as three weeks and as little as one week. If you really want it to last a while, try to avoid taking hot baths or swimming in pools filled with chlorine. Now you know all about the jagua tattoo. But do you know where to get the rest of the latest and greatest news in the world of ink? 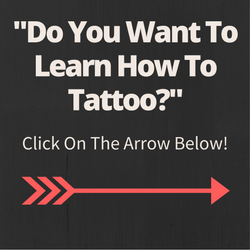 Be sure to bookmark Tattooing 101 to stay on top of every tattoo trend! It’s not always easy to be a dude. Take tattoos, for instance. Many guys want to get a cool tattoo, but they worry that they’ll get something weird and unfashionable. And then the worst part: you’re stuck with it forever! To help the fellas out, we keep an eye on emerging tattoo trends. One of the biggest trends now is wrist tattoos for men. Wondering if this could be the right tattoo for you? Keep reading to discover our awesome guide! If you’re on the fence about getting a tattoo, you probably don’t want to get something huge and intimidating. And that’s part of what makes wrist tattoos for men such a great choice. These tattoos can be as subtle as you want them to be. In fact, an inner wrist tattoo is about as discreet as ink can ever be. However, the tattoo is still easy to show off to your friends. In this way, it’s the perfect combination of stealth and style. Sometimes, people see those awesome sleeve tattoos and think it all happened at once. However, the very best sleeves are built up over time, making someone’s arm a kind of living work of art. Wrist tattoos can actually be a great foundation for bigger tattoos down the line. As an example, you might get a subtle wrist tattoo that you eventually turn into a more prominent forearm tattoo. That’s our favorite kind of tat: ink that can grow on you while you grow on it! Some dudes are just naturally introverted. There’s nothing wrong with that—until you’re trying to make new friends. Many guys would kill just to have an easy way to start a conversation. Well, good news: wrist tattoos for men make for a natural icebreaker! Like we said before, these are subtle enough that you can usually hide them from a picky employer. But they are also prominent enough that anyone you meet will see it pretty quickly. From that point, you get to engage in a time-honored tattoo tradition: telling a new person the cool story behind your ink. The final reason that we really dig wrist tattoos is that the wrist is a perfect size for a cool tattoo image. You might think the area is too small, but there’s room for anything you can dream up. Some people get religious or cultural symbols on there. Others squeeze in a favorite quote. Heck, you’ve even got the perfect amount of room on there to get one of those trendy Soundwave tattoos. At the same time, your wrist is a small enough area that it won’t take the tattoo artist too long to complete everything. If this is your first tat and you’re nervous about how long things might take, then a wrist tattoo is perfect for you. Now you know all about wrist tattoos for men and why they are so hot right now. But do you know how else you can stay on top of the hottest trends? At Tattooing 101, we’re all about news and reviews of all things ink. Be sure to bookmark this site so you can stay on top of the scene from now on. Tattoo Numbing Creams: Are They Worth It? The potential for pain is a real turn-off for many people who want a tattoo. To help with the pain, some of these folks turn to tattoo numbing creams. However, these creams are very controversial in the tattoo community. Before you use any of it, it’s important to know exactly what you’re getting into. That’s why we’ve prepared a solid guide to what these creams are, how they work, and whether they are actually worth it or not. How Does Tattoo Numbing Cream Work? On the most basic level, tattoo numbing creams work by numbing the skin. Exactly how this works depends on the active ingredient inside the cream. Despite the scary name, “nerve deadeners” are the mildest creams. They are pretty weak on their own (deadening the nerves can only block so much pain), so some people combine them with other options. “Nerve blockers” are a bit more effective because they block pain signals from reaching your brain. Technically, the pain is still registering with the nerves, but your brain just isn’t aware of it. “Vasoconstrictors” are even more straightforward: they force your blood vessels to constrict, which means you end up bleeding less. Less blood means less pain; easy peasy. Earlier, we mentioned three active ingredients for a tattoo numbing cream. However, all the creams fall into two camps: creams that you use while you are getting a tattoo and creams that you use as part of your tattoo aftercare. Each kind of cream has its uses, but the practice is frowned upon by many tattoo artists (more on this later). Additionally, the effectiveness of these creams can vary quite a bit. Will a tattoo numbing cream dull the pain? Yes. Will it dull the pain enough? That’s the big question. While your pain will be reduced, no numbing cream can perfectly deaden the pain directly at your tattoo area. So if you think this will make everything pain-free, then you’re in for a rude (and painful) awakening. It’s also worth noting that the FDA frowns on these kinds of numbing creams. It’s their belief that such creams are only effective when administered by a medical professional; unfortunately, you and your favorite tattoo artist probably don’t qualify! As we said before, many tattoo artists don’t like tattoo numbing creams. Some refuse to use them altogether. Why is this? In truth, there are several reasons. One is that certain numbing creams (especially water-based ones) may make your skin slippery and mess up the tattoo process. For some artists, it’s more direct: they’ve tried creams and felt that they didn’t work. Therefore, they don’t want to stock what they see as defective products. Finally, some old school tattoo artists and aficionados think that pain is an important part of getting a tattoo. To them, dodging the pain means missing out an a big part of the experience. So, the big question: is a tattoo numbing cream right for you? The only real answer is that it depends. If your artist approves of them and you find it effective, then you’ve got nothing to lose but money. Just be aware that not all creams are similarly effective, and none of them can completely remove the pain! So, you’re interested in starting a business, and you’ve been looking at tattoo shops. Will this make a great small business? Absolutely! You want your business to succeed rather than being one of those tattoo shops that fades away. But that means you’re going to have to find the perfect customer balance.